Today followed the same format as the first two days: breakfast, plenary sessions, coffee break with poster presentations, more plenary talks, lunch (amazing again), and afternoon workshops. This evening I took an hour to check my email and chat with Justin when I had access to decent Internet. I then walked in to town in search of souvenirs. I accidentally made a loop around and through the city centre and was almost back to the hotel when I ran in to a group from the conference headed in to town for dinner. I joined them. Again, we had a very multinational dinner (Mexican, Dutch, Japanese living in France, Mexican living in France, and me, the plain ol white bread American). We ate at a cafeteria/restaurant and watched Barcelona play a match. Ice cream again followed dinner and I’m now relaxing in my room, ready for the last day of conference! Tomorrow will include a trip to an island and a gala/banquet dinner. Then I get to go HOME!!!!! Sorry for the delay. The internet here is pretty crappy. I’m currently sitting in one of the conference rooms because we have no signal in our hotel room. Yesterday we had plenary sessions in the morning followed by a scrumptious lunch. Fish seems to be the theme here. In the afternoon workshop we collected EMG data on a subject for each group. My anatomy skills came in to play in helping the engineers place the electrodes correctly. We then sat and processed the data and analyzed it. After the conference sessions ended, I went for a swim in the pool. It was a little chilly because the sun had disappeared for the day. Afterwards I walked into town with a group of people from varying countries (Germany, Belgium, Brazil, Canada, Mexico, and the United States). We ate at a great restaurant and had our food tapas style. We got everything from prawns to pork strips with chimichurri sauce to delicious bread to chicken seasoned with some amazing sauce. After stuffing ourselves we stuffed ourselves even further with gelato. I promptly passed out in bed after returning to the hotel. Today was the first full day of the conference. We started off with a full breakfast. Apparently they take meals very seriously in Spain. Lots of food! We had three plenary sessions in the morning with a poster session during the coffee break. I met a newly hired faculty member in the PT Division at USC also here for the conference. After lunch of tapas and paella we had the first day of our workshops. The one I’m attending is on muscle synergies: how to define them, how to measure them and then eventually looking at clinical applications for rehabilitation. Tomorrow we will be doing data collection with EMG so I need to refresh my memory on electrode placement. I’m less familiar with lower limb anatomy than upper limb. After the workshops, we toured the palm tree gardens owned by the hotel. It had over 1,000 palms from all over the world!! A group of us including two locals, myself, my roommate, the USC professor, a biomedical engineer from Chicago, and another engineer from Montreal went into town for dinner. We decided on this Italian restaurant that made their own pasta. We each ordered different pasta and sauce combinations then ate family style. Very yummy! Sangria was the drink of the evening (of course). After dinner we meandered through town, got some frozen yogurt, and saw the old churches and castles in town. I’m now relaxing and getting ready for another full day tomorrow!! 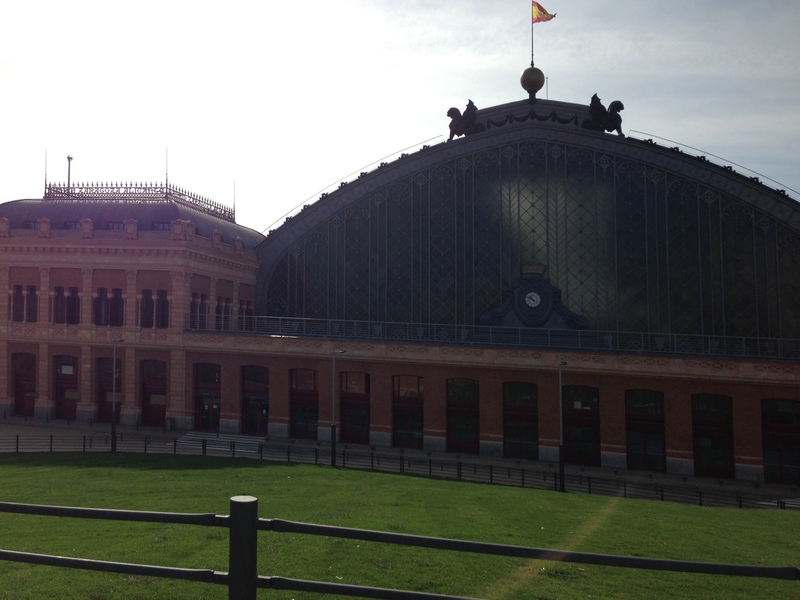 I left Madrid this morning after checking out of the hotel. I had a bit of time before my train left so I got a bite to eat in the train station and sat and read my book. I also bought a book of sudoku puzzles. Thank goodness it’s the same in every language (at least the ones that use arabic numerals!). 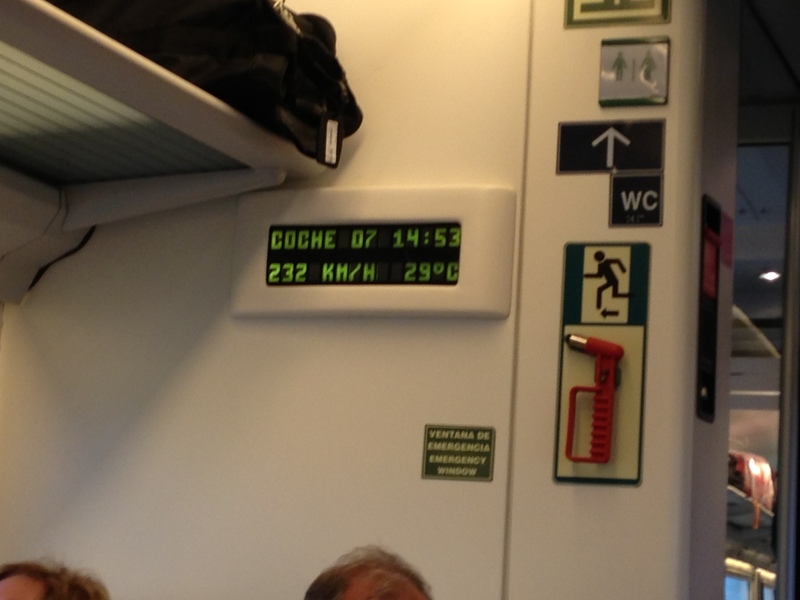 The train to Alicante took about 2 hours and 20 minutes. The top speed was about 250 km/h, not too shabby. 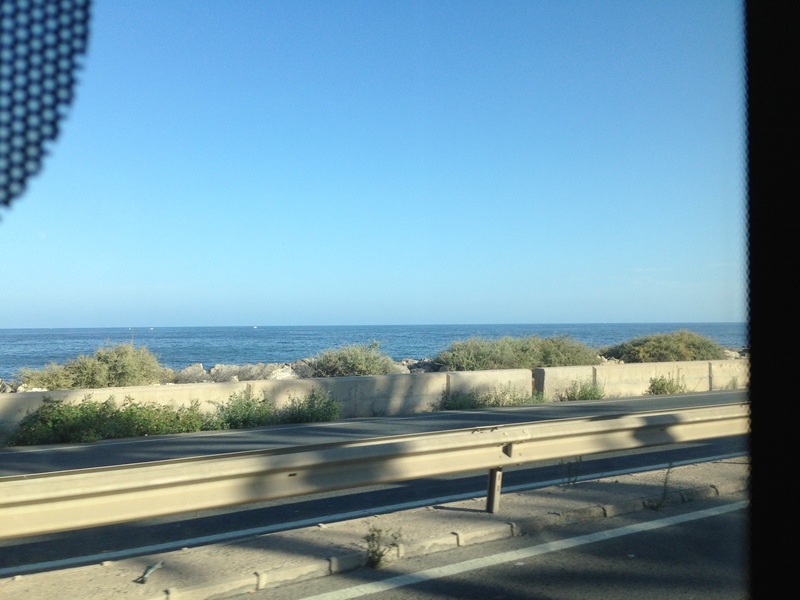 I arrived in Alicante to wonderful warm weather and caught the bus to the airport. From the airport, I took a taxi to the hotel. The bus to the hotel would have required an understanding of the streets and a bit of a walk so I opted for the easy route: have someone else drive me! The taxi driver spoke very little English so I practiced my Spanish, remembering that I’m in an area of Castillian Spanish and not Latin American Spanish! I keep pronouncing “gracias” incorrectly. I checked in to my room. I’m sharing with a PhD student in neuroscience from USC. She is more in the engineering/biomedical side of things. The conference held a reception this evening for all of us with food and drinks, which was a good thing because that was my dinner! I chatted with a fair amount of people, mostly engineers. The majority of people here are from Spain but there are a bunch from the Netherlands. Apparently they are doing a lot of research in the area of brain computer interfaces. Now it’s time for bed and start bright and early!!! 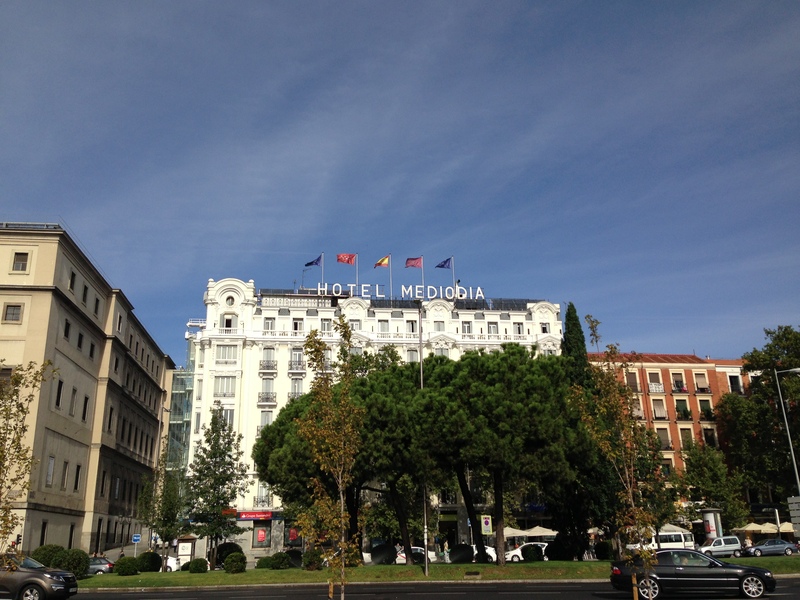 The hotel I stayed at in Madrid. Beautiful! I didn’t catch a picture when we hit our top speed but over 200 is pretty impressive! View of the beach in Alicante. We’re a bit further away in Elche but only a short bus ride! I made it!!! Now to fill you all in on my journey and show some pictures from the last few days that I wasn’t able to upload. I left Courtney’s house around 9:30am and took a taxi to the train station. The Thalys train from Brussels to Paris was nice, very smooth. I made it in to Paris Nord around 1pm. I took the Metro to a station that I THOUGHT was close to the Eiffel tower and hopped off. I found a cafe and has lunch- grilled sirloin steak and “frites”. Sadly after leaving that restaurant, I passed one that had a sign saying “moules frites”. I almost stopped in but the mussles will have to wait another day. I walked across the Seine on a bridge and could see the Eiffel tower! Hooray!! So I ventured along the river in search of it. 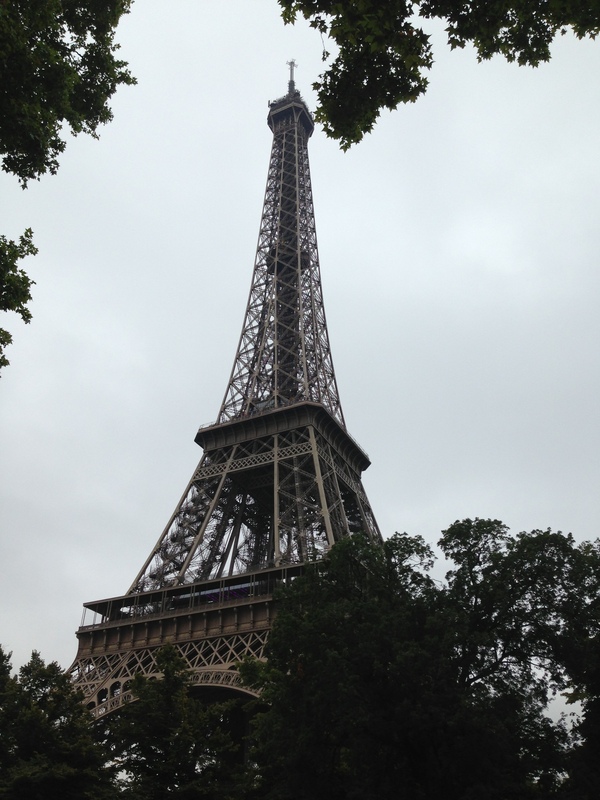 After what felt like forever, I FINALLY made it to the Eiffel Tower. I nearly collapsed on a park bench (mind you, I have on both my pack and backpack) and relaxed for a bit. After wandering around, and enjoying a mist of rain, I headed to find the nearest Metro station so I could make my way to my next train. The ticket system is a bit confusing with the different types of trains they have. I had to buy a new ticket for the RER train to get to the Paris Austerlitz station. 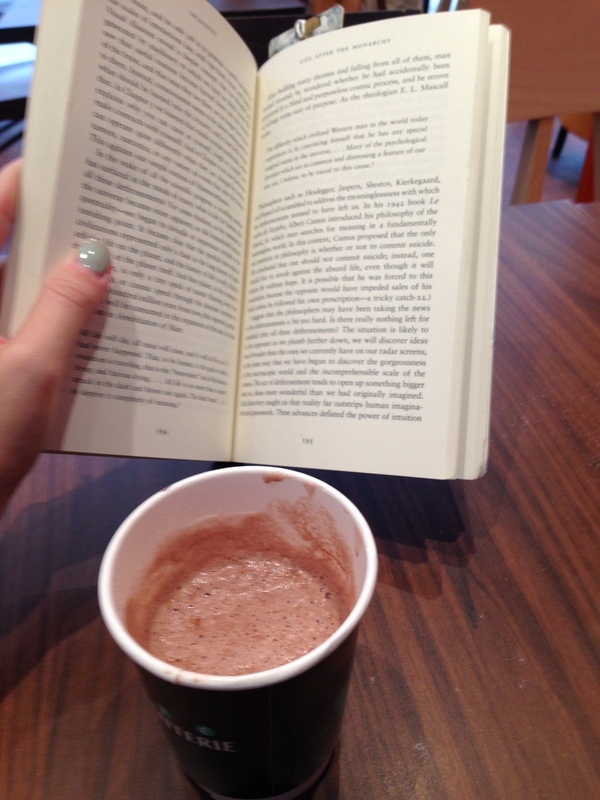 One there I relaxed, had a cup of “chocolat” and read my book. This is the tastiest stuff ever. I could drink it all day. Then I began the second leg of my journey to Spain. The Elipsos trenhotel was interesting. There were several cars of sleeper coaches. I booked the cheapest ticket of a “superreclining” seat. This has its ups and downs, literally. The seat reclines back to a nice angle for most of your body. The head supports are decent and the room to roll side to side is ok. I put my neck pillow on, eye shade on and ear plugs in and passed out. The feet were a different story. They only elevated to about a 45/50 degree angle so my knees were still bent and my feet towards the floor. When I woke up, my feet were all kinds of puffy. I had to stick them up on the wall to let some of the fluid out and then do self retrograde massage. Thank goodness I’m a therapist. 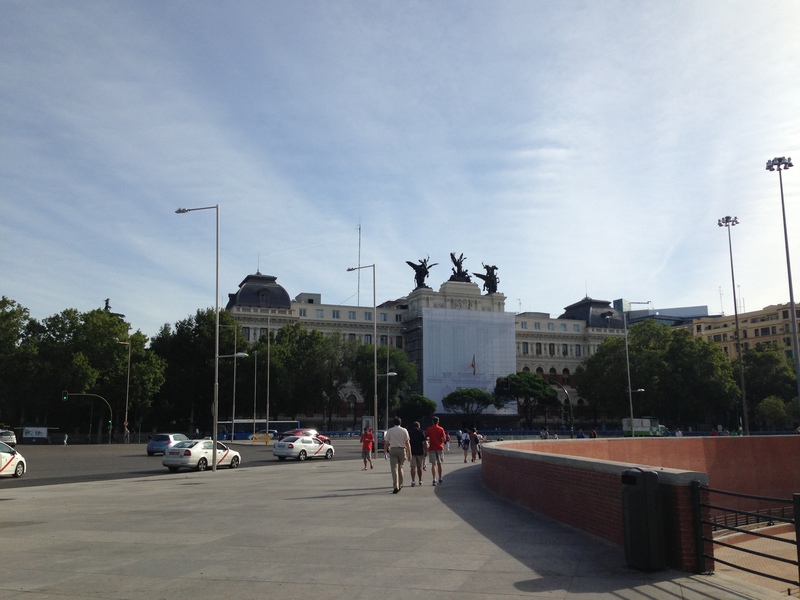 We arrived into Madrid around 9;30am. I caught the Metro 3 stops to the station by my hotel and where I’m leaving from tomorrow morning. I knew that check-in wasn’t until later but I didn’t want to lug my bag around all day. Fortunately they let me go to my room early and put my stuff down. I then headed out into town. 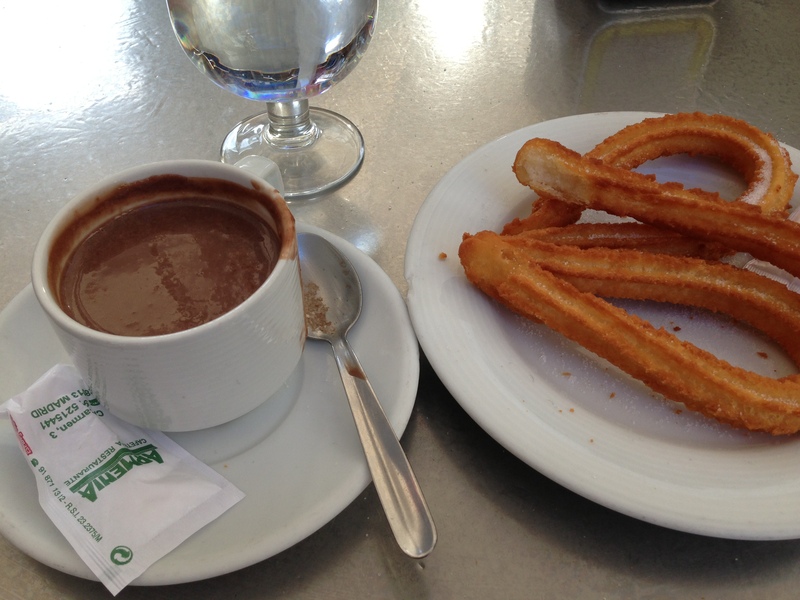 I found a cute “cafeteria” and had chocolate and churros for brunch. Mmmm. The chocolate is so thick I dipped my churros in it for extra flavor. Then I meandered around, did a little shopping and headed back to the hotel. I FINALLY got in a shower and am now relaxing before I grab dinner and turn in early-ish. Tomorrow I will be at my FINAL destination for my trip!! I spent the day sleeping, relaxing and catching up with myself. I slept in until about 10am. I did one load of laundry, then showered, then washed a second load with the dirty clothes I had on previously. I also managed to finish a draft of a paper! Courtney and her family got home around 6:30pm and made spaghetti for dinner. I played with Oliver and Liam (to the extent of entertaining him with jingly toys). Courtney, Michael and I hung out after Oliver went to bed, watching Groundhog Day and just chatting. It’s really nice to see her again and it’s great to have some Randy Mac connections around the world! They set up a taxi through the embassy to take me to the train station in the morning. Tomorrow I’m off to Paris for a brief bit then catching an overnight train to Madrid. I don’t know if I’ll have internet access while on the train so I might not be able to update until I get to my hotel in Madrid on Saturday afternoon/evening.